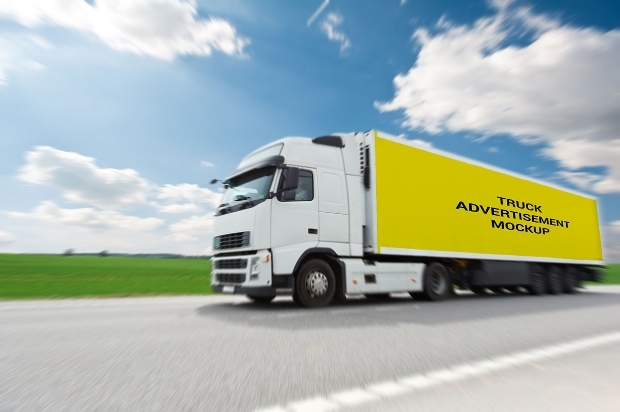 As a large trading company, delivering and moving your goods around can be something that you should seriously consider, and when doing this you should consider designing vans and trucks that will also advertise your company as they drive. 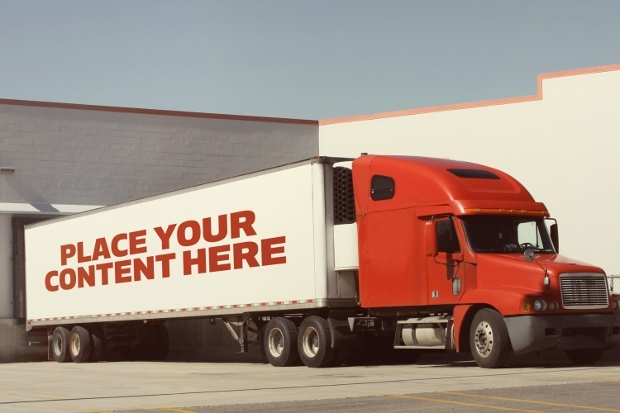 This list has compiled some of the best and most versatile, customisable truck designs to help you find the right design and design inspiration for your company’s delivery truck designs, which can also be developed into poster designs, helping you to advertise as you deliver. 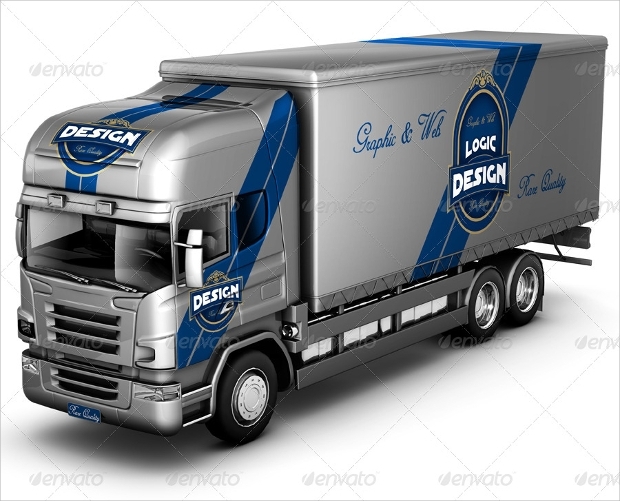 This design is specifically for a cargo truck. The design uses bright yellow, green, red, and black to create this design, making it eye catching and highly recognisable. 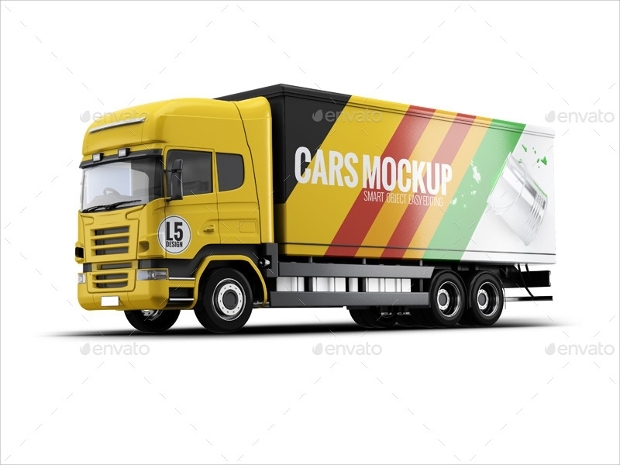 This mock up is also a large cargo truck design that uses a simple white background and features the brand name, logo and a geometric design around the edges. 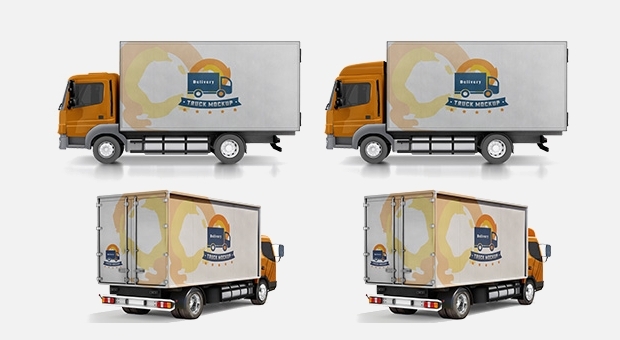 This design can be used as a cargo truck mock-up design for a wide range of different delivery companies. 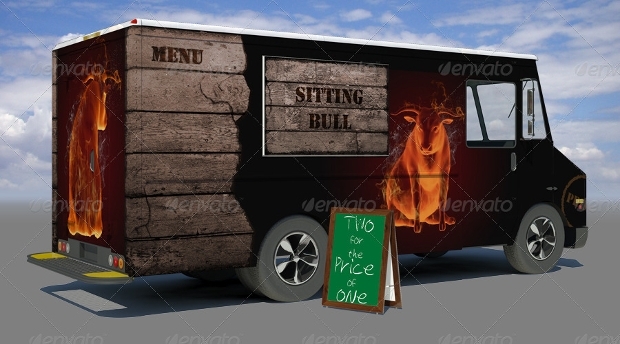 This food truck mockup uses a simple red food vehicle and white writing to create a simple, yet striking design, guaranteed to catch the eye of potential customers and bring in more business. 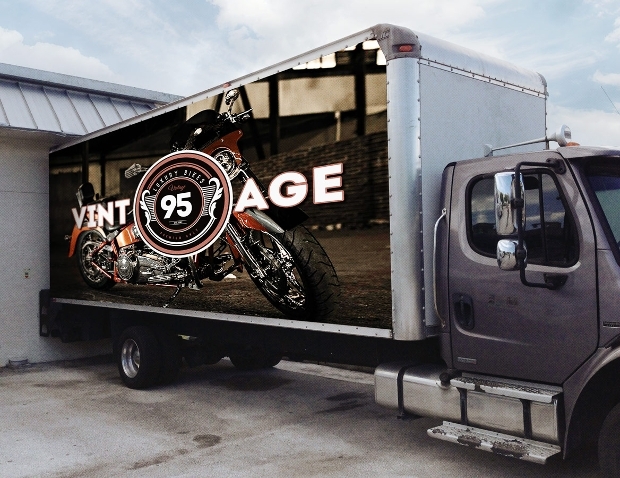 This design is for a large truck, but can also be incorporated onto other delivery vehicles. 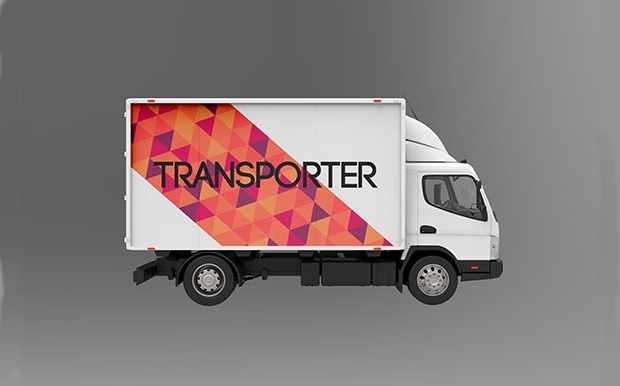 The design uses a white vehicle with a geometric design that uses triangles in oranges, pinks, and purples to create a fun and memorable brand design. 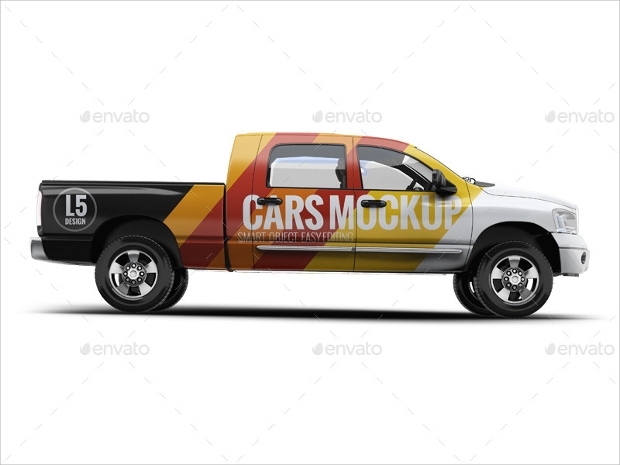 This truck branding mock-up is another template for a graphic designer to use in order to make their own designs and present them to the advertising sector of the company. 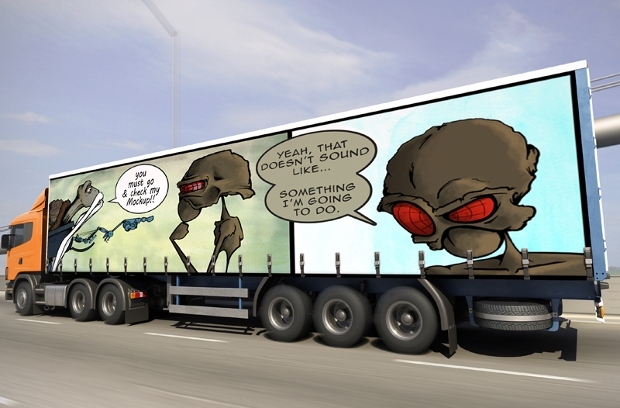 It uses the image of a moving lorry with a customisable cargo design. 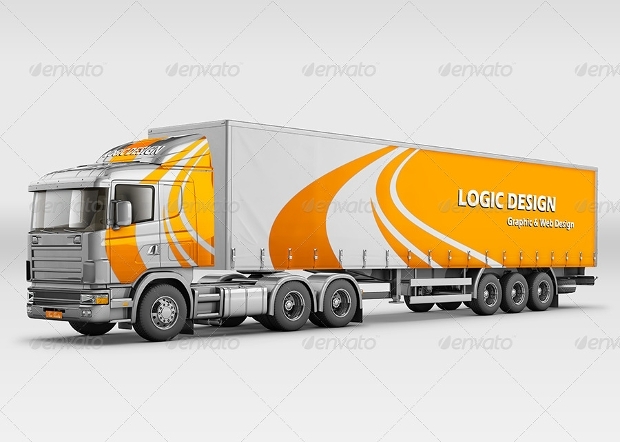 This lorry design uses orange and white to create a bright and memorable design. 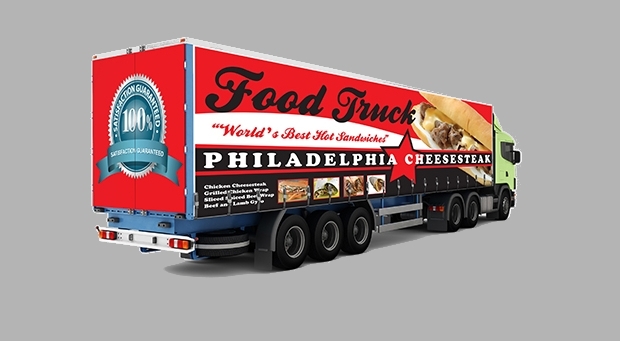 This design is ideal for a wide range of companies due to it’s simplicity and ease of association to a certain brand. 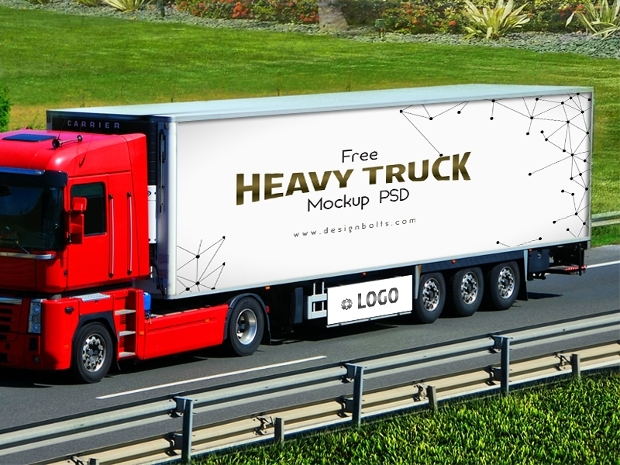 This mock up is another template to use when designing the cargo of a truck or lorry. 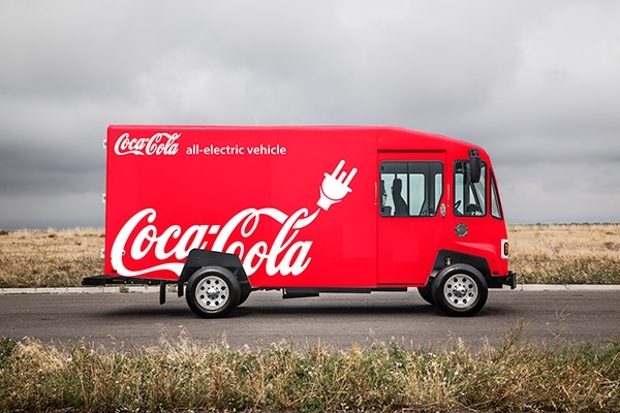 It uses a red lorry cab and a customisable cargo hold for graphic designers to superimpose their designs onto in order to present their creations. 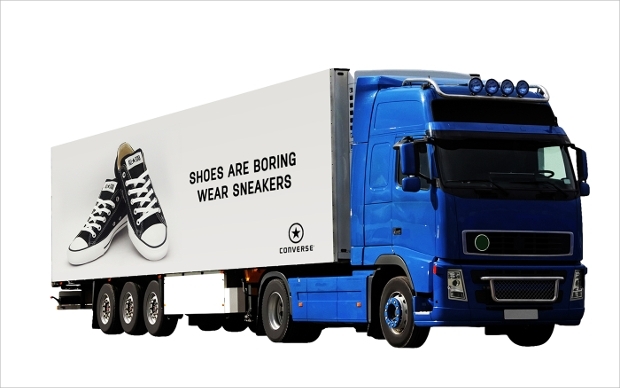 This truck design uses the design od a billboard rather than a logo and design. It is a simple background with a picture of the product the brand is known for with a memorable quote. This is a very different advertising technique, ideal for advertising towards younger customers. 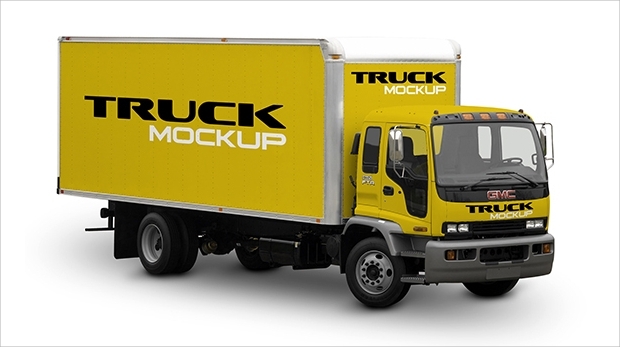 This design is quite different to others on this list, as it is a design mock up for a pickup truck, rather than a cargo truck. 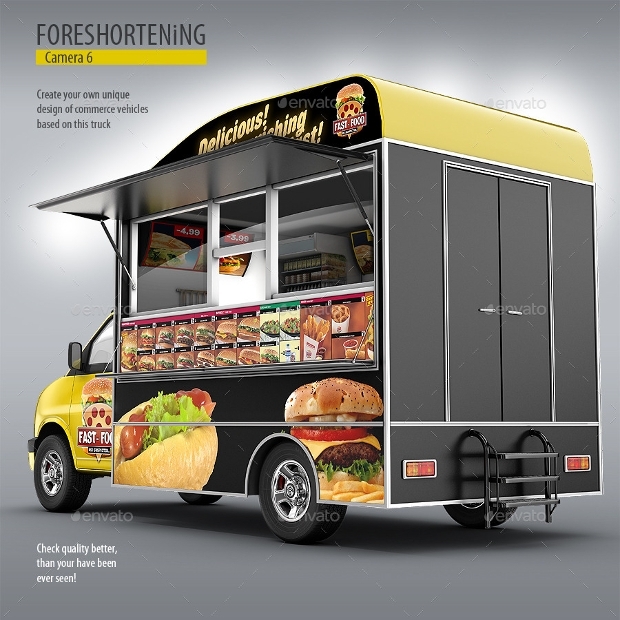 This design is ideal for businesses such as trades businesses, as it will easily fit tools in the cargo of the truck, rather than goods that need protection. 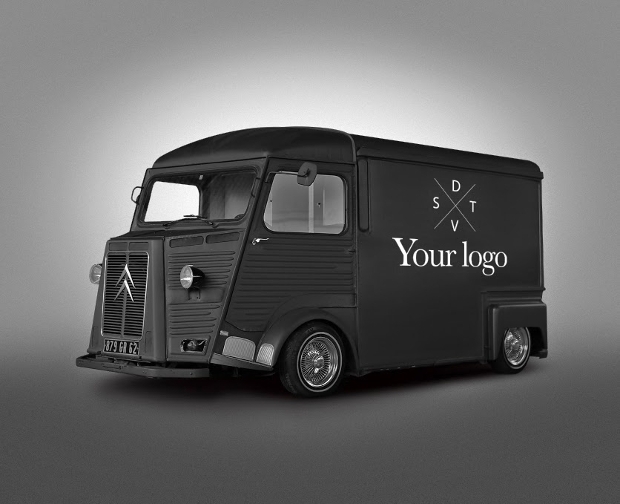 These van mock up and lorry mock up designs are totally customisable, and are suitable for a wide range of vehicles in order to advertise your company with the right vehicles. 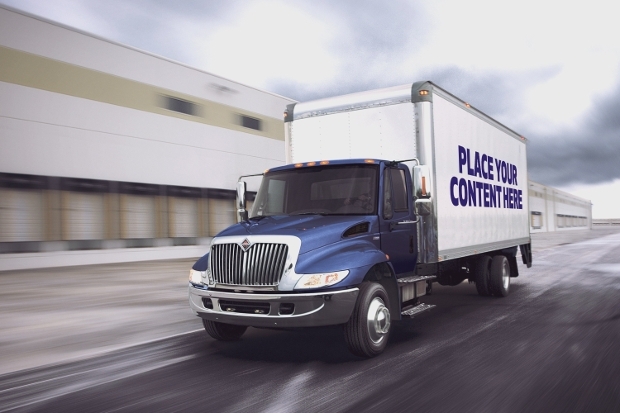 We are confident that this list will be able to help you find the best mock ups for your company’s new delivery vehicles.